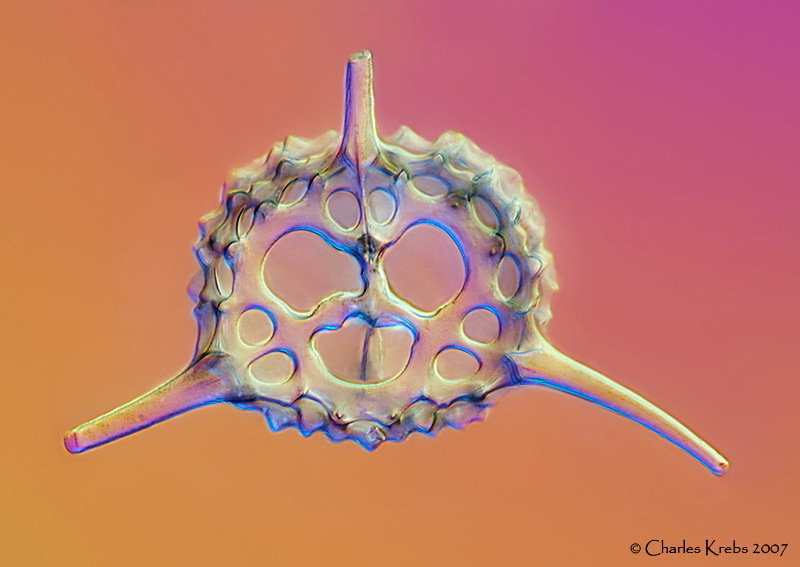 The fossil skeletons of radiolarians are very three dimensional, making them a tough subject to photograph with a microscope. Stacking with Helicon Focus allows for some nice looks at these structures. Canon 350D above an Olympus BHS microscope. Olympus 20X S Plan Apo objective with DIC illumination. Thanks for sharing your latest images! I can see there is kind of aberration on the images? I think they can be improved by shifting blue channel up and red channel down. What is the reason for this aberration? 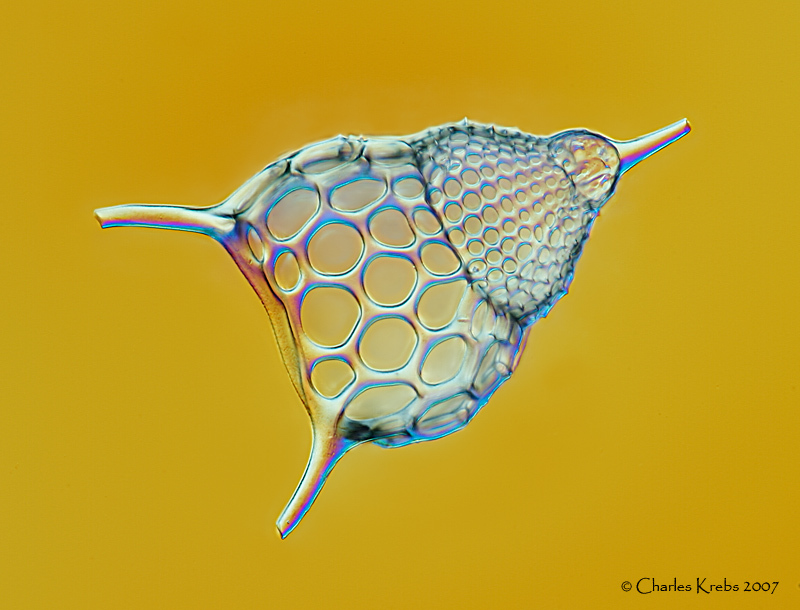 Here's another stacked radiolarian image so you can see what the DIC effect would be without adjusting it into this "optical staining" range. Some stunning results there guys - very nice indeed!! Canon 40D, 100mm macro, 100-400mm zoom, 28mm fixed focus, Helicon Focus, CS3, PaintShopPro, Manfrotto accessories. nice work, I can see that you have a similar challenge with these 'transparent' object that I do with shooting jewellery, especially diamond rings etc. Maintaining the clarity and 'life' in such object is tricky. Another observation - I'm constantly challenged by fixing the 'imperfections' in the work of man, as we assume there will be perfection.